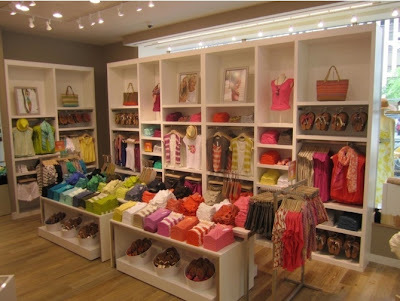 What's not to love about LOFT's new concept store located in Rockefeller Center. While attending the launch party last night, where I snagged the linen trouser seen below, I got a first hand view of the colorful, fun yet well organized approach to shopping that LOFT has conceptualized. The boutique style layout made of numerous 'style closets" gives devout LOFT ladies a sort of dream closet within a dream closet. "Designed to inspire", the concept store located on Sixth Avenue and 49th street kicks off it's opening today and every Friday for the month of June with a series of events entitled "Fridays Rock." From noon to 4 pm there will be cocktails, gifts with purchase, a deejay and raffles. Summer Fridays just got a whole lot more fashionable for the Midtown set.